Fabulous custom made 18kt yellow gold fob or pendant with 1 bezel-set cushion cut medium orangy red carnelian intaglio, approx. 15.5 x 12.2mm. 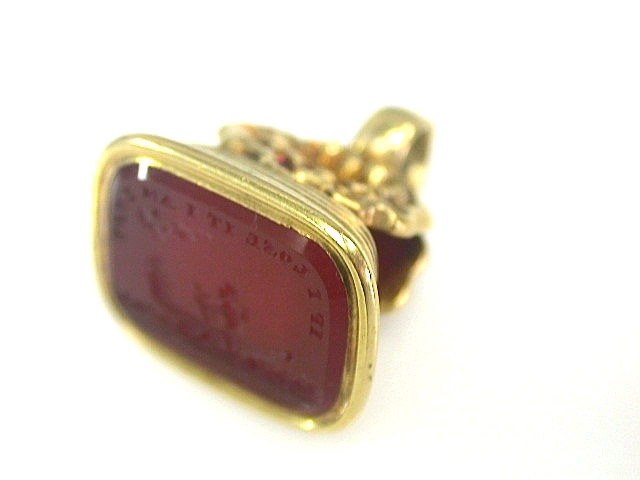 The intaglio depicts "Cupid in a row boat" and carved around its border are the words "IF I LOSE IT I AM LOST"